I would like to document a process/workflow that we follow for a task. And I think Visio would be better. But I want the default view of the workflow as a collapsed/summarized view and provide a description upon clicking on a shape. Is there any software that could do that? 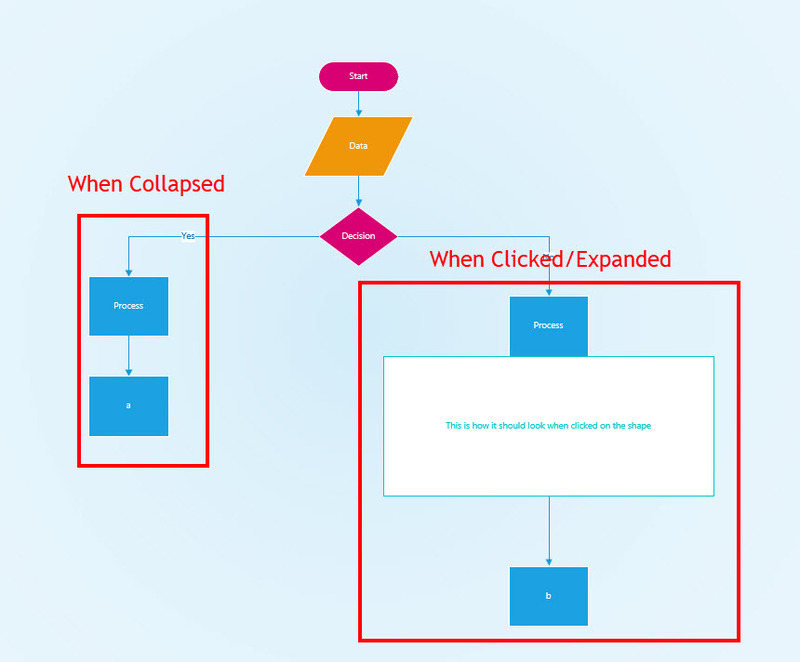 There is no collapsed/expanded view option in Visio. Create two pages: Page 1 for main process, and page 2 for sub-process. Select one shape which you want to expand in Page 1, click Developer tab, in the Shape Design group, click Behavior. In Behavior window, select Double-click tab, select Go to page: Page 2. 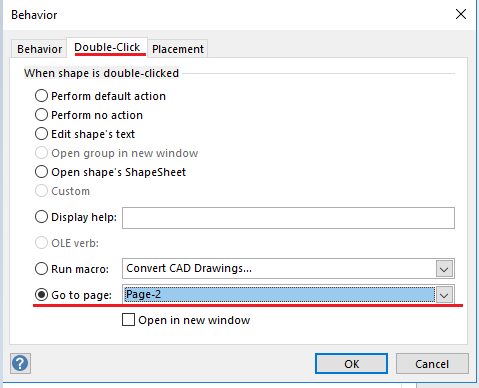 Double click the shape in Page 1 to expand details in page 2. Not the answer you're looking for? Browse other questions tagged microsoft-visio documentation workflow or ask your own question. Is Visio capable of linking to information? How can I convert a PDF to an editable Visio file? How can I set a theme in a Visio document without resetting existing shapes?